Michael Kofler was born and raised in South Tyrol in the Italian Alps. 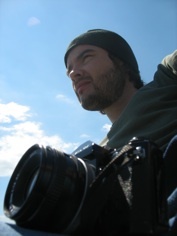 He started off his career, working in production for a German production and visual effects house. Subsequently, he was promoting and moved on to produce/direct video content and music videos for a German record label. Since then Michael has graduated from a MA Directing for Film & TV at Westminster Film School and his short films have been screened at various international film festivals. Michael’s commercial works have been screened at Mobile World Congress in Barcelona and World EXPO Exhibition in Shanghai. Michael’s short film The Retreat was licensed by world’s leading short film distributor Shorts International for worldwide distribution. In 2011 Michael was selected for the prestigious Berlinale Talent Campus at the Berlin International Film Festival. Michael is currently developing his debut feature film Zweitland and working on a number of short film projects. Michael is living and working in London.